Janice and Brian welcome you to the Catlins Gallery and Accommodation website. Viewing our website will give you more information about our hosted Bed and Breakfast Accommodation and Janice's artists gallery, so that when travelling to the Catlins you may wish to visit us. 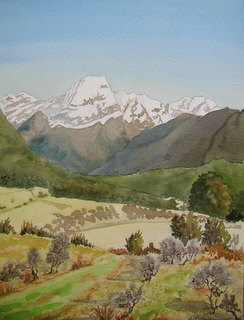 The gallery offers viewers the opportunity to view Janice's original watercolour and acrylic paintings of the Catlins and Otago. There are also hand painted cards depicting local scenes.